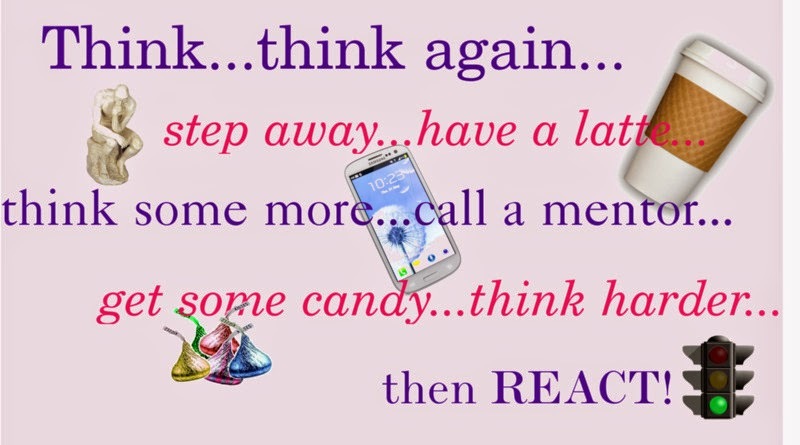 THE MARTINI CHRONICLES: Think...Then React! Just a little something I thought about today as I watched someone put his proverbial foot in his proverbial mouth...all because he reacted without fully thinking about the consequences of his words. In a world where the Internet and social media glorifies the concept of instant gratification, we as professionals should exercise caution when reacting to unexpected situations. The worst thing we can do is make rash, uncalculated decisions that could have dire and unfavorable consequences (both personally and professionally). In sum, think before reacting...I'm just saying!